After your application has been approved, you will receive a unique login to get instant access to our e-learning platform. Here you are introduced to the 6 modules and to the training process. You begin when it suits you - and you decide the speed! It's quite easy to use! Using the platform is very similar to navigating an ordinary website. 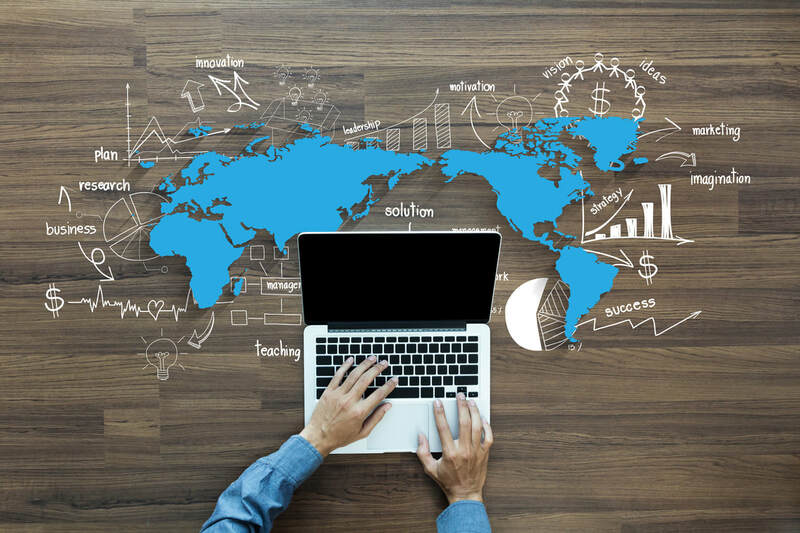 The difference is that this platform/website keeps track of your progress - and that it guides you through the 6 modules, until you receive your diploma. Read, watch, quiz and write! 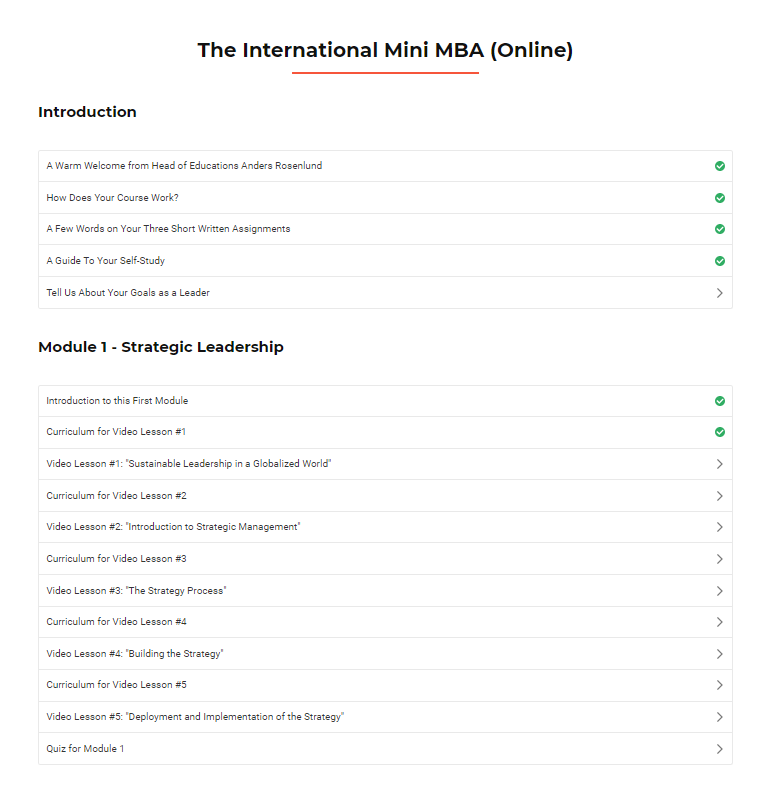 The 6 modules of The International Mini MBA consist of a mixture of literature reading (1,100 pages), 25 video lectures, quizzes (optional) and three written assignments. When you have completed the six modules, and we have approved your assignments, you will have passed and we will send you your International Mini MBA Diploma. There is no finishing exam. However, you have to go through all the steps of the education (reading, watching video lectures etc.) to graduate. In addition, you have to hand in three written assignments during the course and have them approved. You have graduated, when we have approved all the assignments. If an assignment is not approved, the lecturer will give you some advice to improve it. After that you can hand it in again and have it re-evaluated. We charge a re-evaluation fee of EUR 40. Any questions? Write to us at international@arosbusinessacademy.dk.